Watch The Big Bang Theory Season 9 Episode 12 online via TV Fanatic with over 6 options to watch the The Big Bang Theory S9E12 full episode. Affiliates with free and paid streaming include Amazon, iTunes, Vudu, YouTube Purchase, Google Play, and Verizon On Demand. 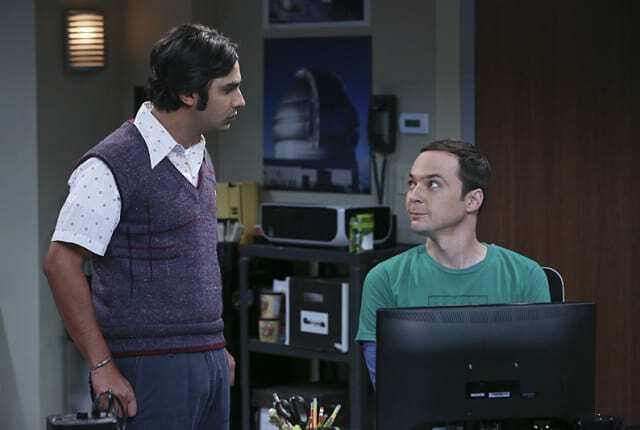 On The Big Bang Theory Season 9 Episode 12, Sheldon and Koothrappali collaborate while Wolowitz and Bernadette have shocking feelings when Stuart moves out.